← What Month Is It? 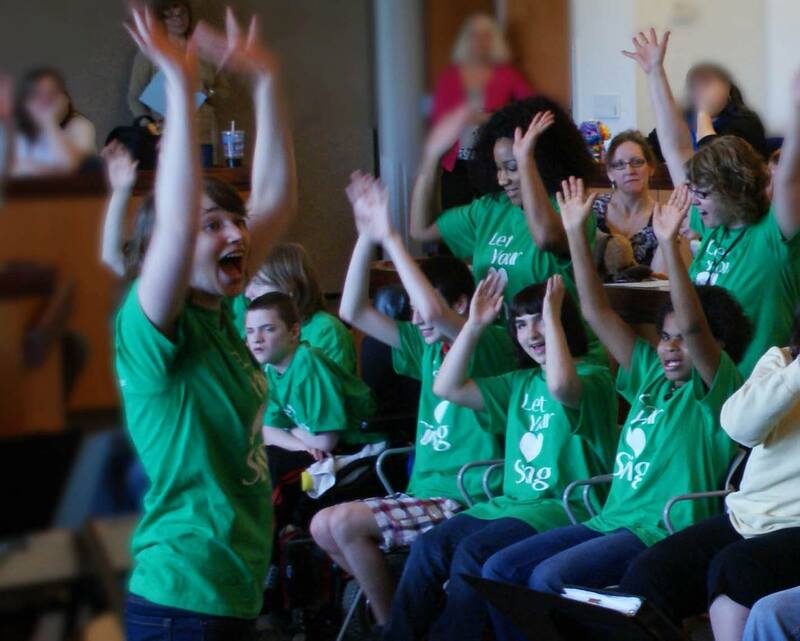 Music: How One Community is Teaching Children with ASD and Who’s Really Benefiting? The power of music affects us all and has long appealed to our emotions, but does music have the power to transform? There have been many studies showing that it might for children on the spectrum. Today,I don’t want to focus on those studies, although I find the research important. 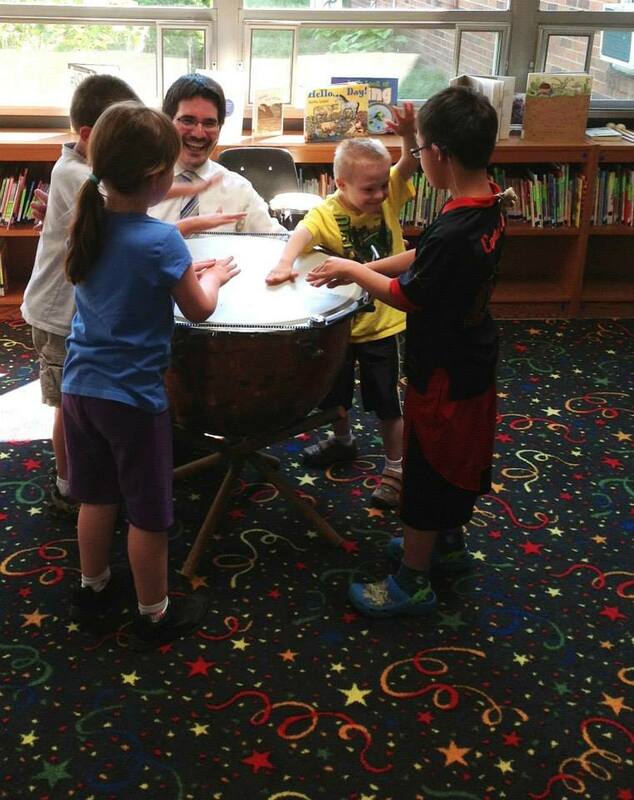 Rather,I want to share with you how one community, our Erie community, is bringing repetition, rhythm, melody, tone, duration, volume– all the facets of music—to work separately and together for our students. The gentle sounds of violins from the Erie Chamber Orchestra penetrate the school walls. The rhythm of drums and bellows of accordions ripple through the floors, thanks to The Bengsons and the Mercyhurst University Artist in Residence program. And, the bright, clear voices of the Young People’s Chorus singing with our students soar through the air. Music has flooded our school and our students are thriving! 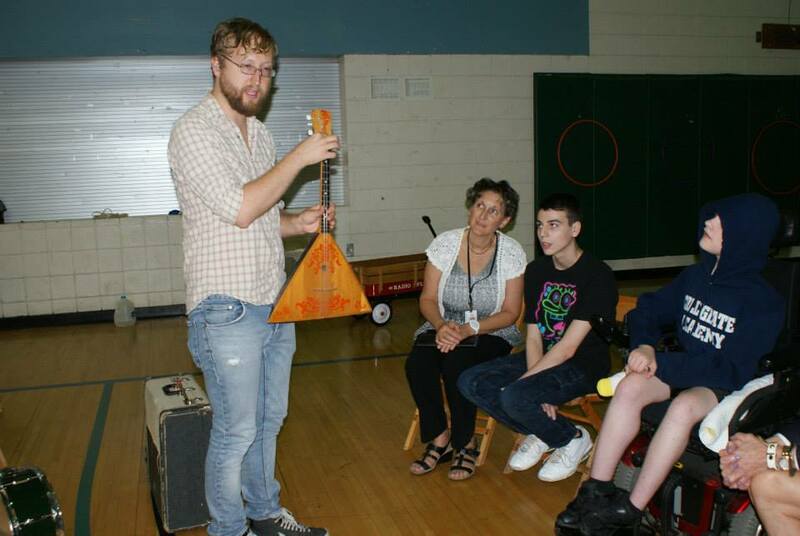 Indie Rock artist Shaun Bengson helping students explore new instruments. Indie rock artist Shaun Bengson visited yesterday, thanks to an artist in residence program with Mercyhurst University. Our students sat in rapt attention for a 45-minute lesson with him. They sang songs together; the children waited their turn and without prompting clapped for each other after each turn. When Shaun asked “what instrument has strings?” the students said “violins” and motioned how to use the violin. They remembered and mentioned the visit from the Erie Chamber Orchestra violinists from last Friday. The Young People’s Chorus of Erie and our students letting their heart sing! Yes, our children are benefiting. To be able to listen and appreciate, sing or participate in music-making is interactive and enjoyable. I believe that’s what school should be like for all children. I also believe it’s not possible without the collaboration of community organizations. 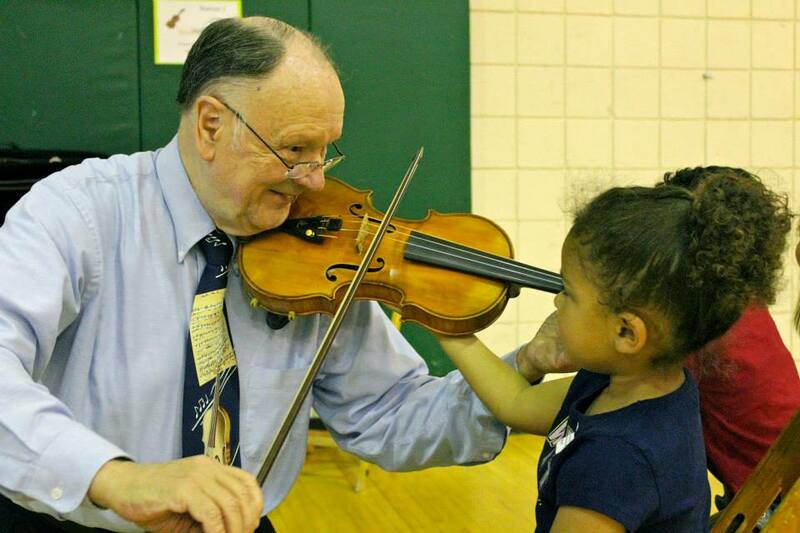 Alyson Amendola and the YPC of Erie, Steve Weiser and the Erie Chamber Orchestra, and The Bengsons are enhancing quality of life and raising public awareness through autism-friendly, interactive music developed specifically for students with autism. I am so grateful to the Erie music community and exited to see how this grows and has an impact not only for our students but the community as a whole. Does music benefit children with ASD? Yes it does. And, music benefits a community. It’s a win/win. Tune in on Thursday and I’ll share the happenings of Jude Shingle, Artist in Residence and ArtsErie. This entry was posted in Uncategorized and tagged ArtsErie, asd, Erie Chamber Orchestra, Mercyhurst artist in residence, Music, Music Therapy, The Bengsons, young peoples chorus. Bookmark the permalink. 2 Responses to Music: How One Community is Teaching Children with ASD and Who’s Really Benefiting? What a joy and dedication! Beauty and hope wrapped up tight. Thanks for continuing to follow my blog. You are so right!